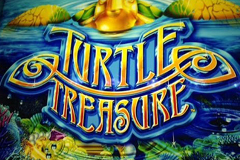 Diving into the world beneath the waves with the Turtle Treasure pokie from Aristocrat can bring players valuables from the deep including free spins, wild substitutions and lots of chances to spin up some nice wins in the base game as well. This game features classic playing card symbols and a few random items that can be found in amongst sunken treasures, such as a ring and coin, along with a starfish, treasure chest and a turtle who looks remarkably like Donald Trump. No really, have a look and see. Played out across 5 reels with symbols in 4 rows and a fixed number of 25 paylines, it’s got enough features to keep players entertained but isn’t so complicated that it’s likely to put off those who prefer simpler games. Turtle Treasure is a good-looking game where the reels spin against a nice background image of waves, with a coral reef beneath them and colourful payline indicators to either side showing players where each starts or finishes. Players can stake as little as 0.25 on a spin of these reels and then raise their bets accordingly, winning a prize whenever 3 or more of the same symbol come to a rest on adjacent reels on a payline running from left to right. The turtle only needs to be on the first 2 reels to be worth a prize, while the game swims against the tide by making the scatter symbol only appear on the first 3 reels. Like many pokies, this one uses the playing card symbols 10, J, Q, K and A to make up the less valuable combinations, with the 10 for example being worth 5x, 20x or 100x the line bet when 3, 4 or 5 land across the reels and the A being valued at 15x, 40x or 200x. Bigger payouts come from the various picture symbols which are all unique to this game, starting with a starfish and going up to the turtle who pays out between 2x and 500x depending on how many land on a line. A seashell is wild, so if for example, a K symbol lands on reel 1 and 2 and the wild is on reel 3 across a line, it will count as 3 K’s and pay out accordingly. It will only appear on the middle 3 reels however, not the outer ones and isn’t worth anything on its own. The treasure chest is a scatter symbol, although the point of scatters is that they can be worth a prize when landing in any positions, but here it will need to land on a line, just like everything else.Players win 4x the stake per spin when it lands across the 3 reels and then the main bonus feature begins, with 10 free spins playing out. During the free games, the odds of winning are improved by the ring, coin and starfish symbols becoming extra wilds, and unlike in the base game, these can be on any reels. The treasure chest can re-trigger the free spins from within the feature and a further 10 will begin as soon as the current round is completed. This isn’t the most feature-filled pokie that players are ever likely to see, but Aristocrat have plenty of games that are filled to bursting with bonus rounds, so it’s not as if they can’t produce them when they want to. 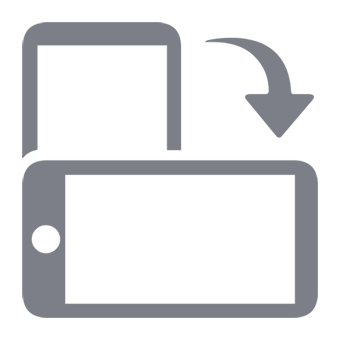 This one has been designed from the outset to be easy to play and uncomplicated, without being completely devoid of bonus rounds. While the wild wins and free spins are not particularly ground breaking, they still bring some welcome winning opportunities to the game, made even more rewarding by having the extra wild symbols in play during the bonus round. Calling the treasure chest a scatter symbol is a bit misleading, but hardly worth crying about, while the only other issue that some players may have is the inclusion of the standard playing card symbols, with no attempt made to re-design them to fit in with the theme. But this is another thing many players won’t mind at all, so it’s just an opinion. Although the turtle really does look like the US president.